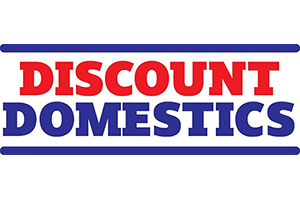 Discount Domestics is a family owned business established in 1970 to supply high quality, aesthetically pleasing and competitively priced appliances to homes throughout the Northwest and North Wales. We pride ourselves on our comprehensive product knowledge and extensive range of appliances available to collect on the day of purchase. Our showrooms in Wrexham, North Wales, and Harwarden, near Chester, display a vast range of kitchen appliances at the very best prices. You can visit us to see a product you may have found in a brochure or online, and take it away with you the very same day! We have thousands of appliances on display, helping you to find the perfect product for your home. We stock many leading brands, including Bosch, Hoover, Candy, Hotpoint, Siemens, Samsung, LG, Haier, Indesit, Panasonic, Miele, Gorenje, Whirlpool, Daewoo , Aeg, Zanussi, White Knight, Rangemaster, Smeg, Blomberg, Britannia, Leisure, Beko, Norfrost, Icetech and many more. We stock a large range of appliances in our onsite warehouses. If you need an appliance quickly, you can collect it on the day of purchase. You can even call in advance and we’ll have it ready for you at our warehouse door. Alternatively, we are happy to arrange a delivery at a time to suit you. Situated just off the A483, our Wrexham showroom can be easily reached from surrounding areas including Chester and North Wales. Situated two minutes off the A55 in the borderlands between Flintshire and Cheshire, our showroom in Harwarden can be easily accessed if you live in Chester, the Wirral, the Northwest and coastal areas of North Wales.